Sometimes you just know something isn’t right. I’ve learned to listen to my inner voice since becoming a widow in October of 2009. Life has taught me that my inner voice is there for a reason and I should heed what it’s telling me. In 2017 and 2018, I just didn’t feel good. Truth be told, I hadn’t felt right for a few years. Mounting issues that ranged from debilitating neck pain and joint aches, fibromyalgia, chronic inflammation and so much more seemed to be piling on and making me uncomfortable in my own skin. I ate well, drank tons of water, exercised daily yet still my body seemed to be revolting against me more by the day. I saw every expert under the sun. Doctors, naturopaths, a therapist, and so many more. I had blood drawn, tests ran, countless dollars spent, all to be told I was a perfectly healthy 40-something. Once you’ve seen enough “experts” and they say nothing is wrong, it starts to take a toll on your soul and spirit. I was emotionally exhausted. I knew something was wrong but I just couldn’t put my finger on what it was. I’ve spent years really getting to know my body and one thing my late husband’s death taught me in 2009 is you ALWAYS listen to your gut instincts. You have been given that sixth sense for a reason and when I’ve heeded my internal gut warnings, it has never steered me wrong. Women should be celebrated for that gift of self-awareness, but often we are chastised for being too emotional or too dramatic by a male-dominated culture and medical industry. I was neither too emotional nor too dramatic; I was sick and I knew it. My chronic pain came to a head in June of 2018, when our Adventure tribe took a group 100 miles around the base of Mt. Blanc in France, Italy, and Switzerland. I trained hard, I was more than prepared and yet my secret hidden throughout the entire hike was horrific numbness in my right leg which made each step more painful than the last. At the end of some days, I’d want to break down in tears because the pain was so bad but we were surrounded by our group so I held it in, rested and prepared for the next day. I have people in my personal life whom I love and are sick, very sick, so my seeming mystery pain and chronic issues almost didn’t seem worthy of mention by comparison. Doctors had told me I was fine so I just powered on and dealt with the pain. I chalked all of this, and about 40 plus more symptoms up to things like early menopause, delayed grief, and stress from overwork and travel. My long list of symptoms included horrific daily heart palpitations, chest pains, anxiety, insomnia, chronic fatigue, brain fog, headaches, itchy skin (to the point I’d bleed), chest pains, weight gain, shortness of breath, skin rashes, and vertigo. I focused on de-stressing my life, did more grief work, had my doctors recheck my heart, my thyroid, and my blood…and again, all seemed okay. As I reflected back on the past several years, I realized that my issues began for me in 2012 when I started having horrible neck pain that no amount of therapy would correct. From there, my symptoms multiplied every year and became more difficult to deal with. When I’d look in the mirror I didn’t even recognize myself. My face was so inflamed, puffy, red, and swollen. I continued to clean up my diet to the point of being obsessive. Anti-Inflammatories like turmeric were a staple in my life and I made sure to steer clear of anything my body didn’t agree (such as my dairy allergy) and I added infra-red sauna, more water and hours of daily meditation to my already busy schedule. No matter what I did, nothing was helping and I was really hurting now physically and emotionally. One day, an angel posted a comment on One Fit Widow and I now credit her with giving me my life back. I was complaining of how it had become harder for me to write; my fire that so many people seem to love about me was dwindling…I felt like my soul was dying. Mind you, some days I wouldn’t even have it in me to read comments on my social media sites, but for some reason, I was called to read this comment and it stuck with me. What the heck was Bii?? I’d never heard of it. I went to google and plugged in 3 little letters that would absolutely blow my mind. Now here is the part of my story that I have NEVER, EVER shared. Yes, I share a lot about grief, life after loss and heartache but this just felt too personal. In June of 2010, 8 months after I lost Mitch, in a deep grief haze after dropping seventy pounds, half my body fat, nursing my two children for a combined 4 years, I decided to get a breast augmentation. I’d reached the pinnacle of my fitness but as I looked at my amazing and strong body that had survived the horrific throes of death, had stood strong to take care of my one and three-year-old children through loss, and took total control of my health and my life…THAT body still didn’t feel like it was enough. In hindsight that makes me so sad to type…how could I ever feel like I wasn’t enough? How brainwashed was I by the images around me, the media, and my own insecurity? I didn’t feel like enough woman. In my mind, somehow my breasts were defining my self-worth and I allowed that insecurity to shape what came next. That’s what multi-billion dollar industries bank off of isn’t it….women’s insecurity? The truth is I was enough but sometimes life hands us tough lessons so we can grow, evolve, and pass along what we learn to those around us. I was about to enter a new life lesson. When I first read about Breast Implant Illness I simply discounted the entire concept. From my perspective, everyone was doing it, the FDA approved it, my doctor assured me it was not only safe but also a lifetime device if, and I quote, “you take good care of yourself and your implants.” The truth is, I take better care of myself than many yet here I was dealing with all these strange issues. Had to be something else. For about two weeks I tried to ignore the comment but it stuck with me and finally, I started to dive into some research. I remember seeing the symptoms laid out in front of me and it seemed like a puzzle had been put together. I continued to read, study and learn over the next few days, to find out everything I could about this potential illness and the process by which implants were approved for human use. What I uncovered was alarming, to say the least. I read countless articles, scientific journals and even autopsies. Medical reports from prestigious universities where women’s bodies were donated to research and silicone toxicity was uncovered and laid out for anyone to read. An undeniable connection to autoimmune issues, especially for women with histamine tendencies in their bodies (I have many allergies) and even a connection to trauma and the bodies inability to ward off foreign devices once the immune system had taken a big hit…like grief. As I sat back and thought of that initial meeting with my plastic surgeon, there was no warning to have them replaced every ten years; nobody showed me the list of chemicals about to sit over my vital organs; no concern voiced over my personal auto-immune tendencies; and there was never any mention of getting an MRI every two years to make sure they hadn’t ruptured. I just remember being told they were safe and I was going to look great. Why had I never thought of it this way before? 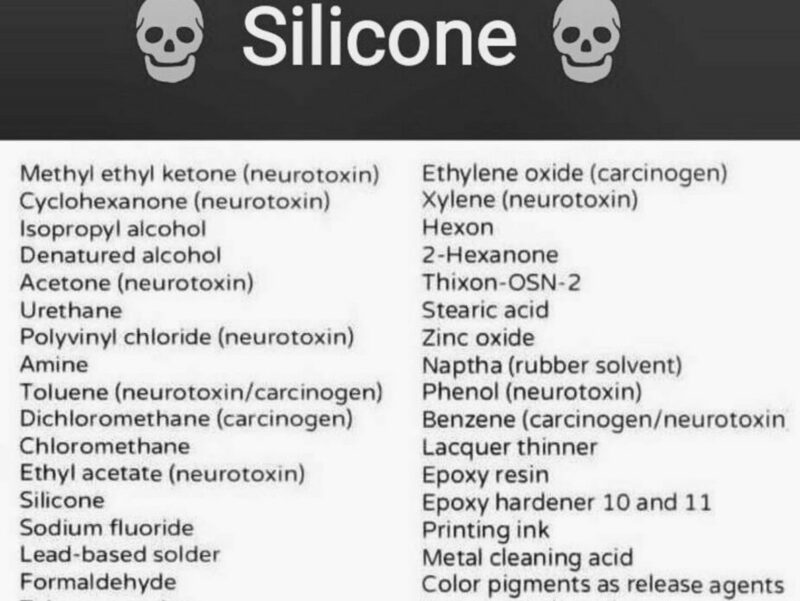 I continued my research and I uncovered the 40 plus VERY TOXIC chemicals in all implants (even saline has silicone on the shell). 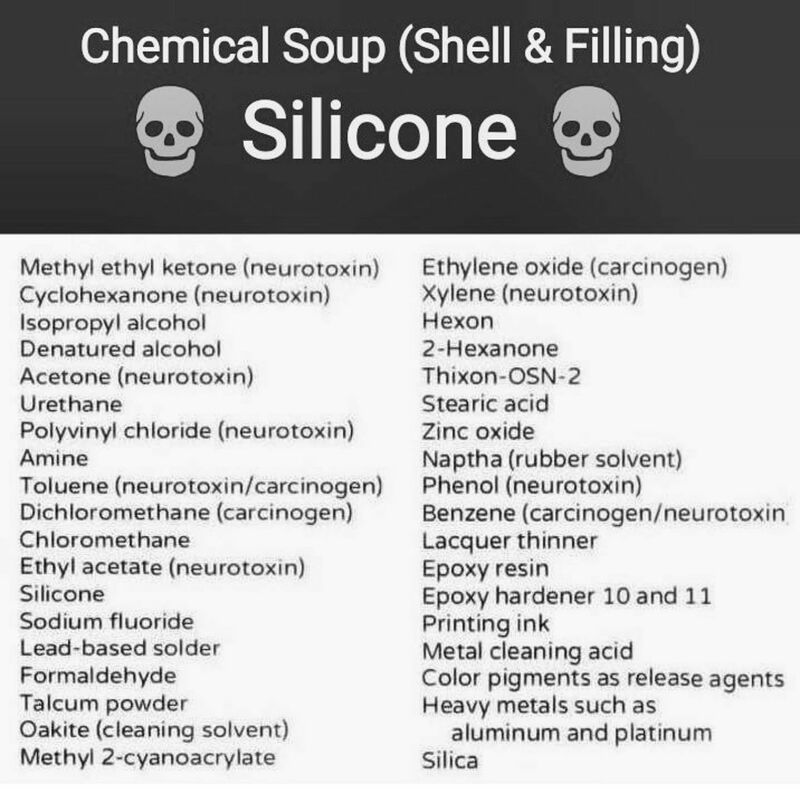 Chemicals like lacquer thinners, printer ink, multiple neurotoxins and so much more. The more I researched and uncovered the more angry, disappointed and concerned I became. The lack of human testing, especially under the heat of the human body, was astounding. How could this be okay? How was this approved by our own FDA? Shouldn’t we prove they are safe BEFORE we take them to market instead of the other way around? All in all, I researched for nearly eight months before Keith finally said to me, “Honey, enough research, just take them out.” He asked me one very profound question, “Is it worth the risk?” I sat with that for a long time. He was right. Even if there was a chance that they were not responsible for my rapid decline in health, there was a greater chance they were. There literally was no other reasonable explanation. Why would I even consider taking a chance? Finally, in October of 2018, I made the call to schedule my explant surgery in Dallas, Texas with a leading doctor who practices the safest removal and explant procedure. Given our busy travel schedule, I had to wait until March for a long enough break between trips, speeches, and lectures before I could have the surgery performed and have the time I’d need to heal. That waiting period was tough; I just wanted them out and my numb right leg had become my entire numb right side. Even my face was now going numb. 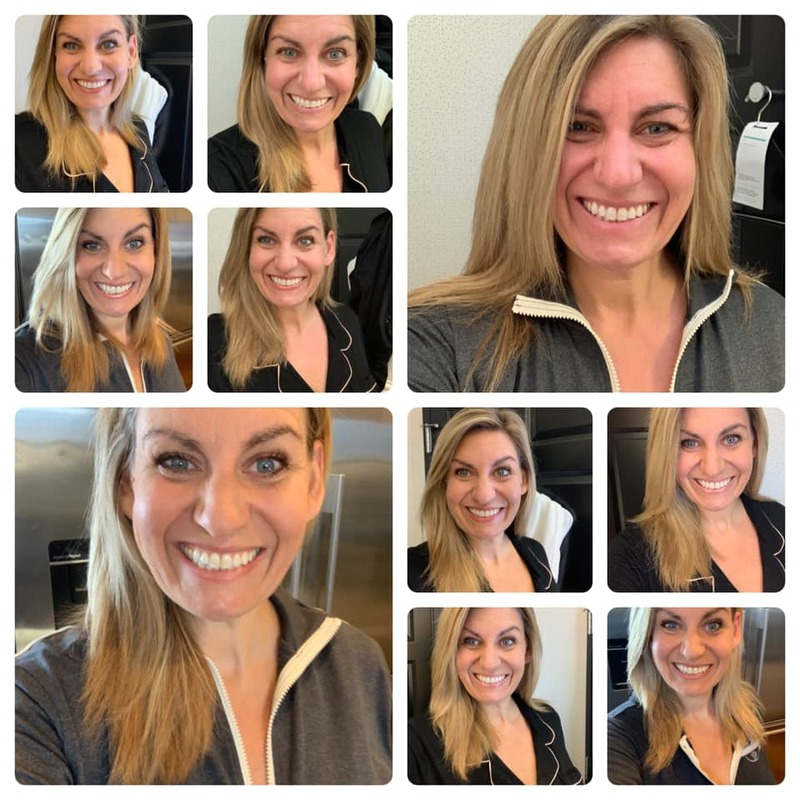 My heart palpitations were relentless, I was always out of breath, and no matter how clean I was eating, my weight was only going up and my chronic inflammation was getting worse by the day. I’d itch till I’d bleed, have bouts of vertigo, and I’d get so cold I’d have to be covered head to toe in 80-degree weather. Even my fitness clients noticed. Many of them asked me if I was sick, and I was unsure what to say to them…until I finally explained what was going on to them a few weeks before my surgery. Many of them reached out with similar issues and concerns, and my heart broke. There are literally millions of women walking around world-wide right now who could be sick from something foreign in their body and, like me all those years, not even know it. My surgery was set for March 7th and while I was patiently awaiting my turn, the bottom started to fall out on the implant industry. On February 6th, the FDA announced that ALL IMPLANTS can cause a rare form of Non-Hodgkin’s Lymphoma called BIA-ALCL, which is a form of cancer of the immune system. Seventeen women (to-date) have died worldwide and hundreds more have been diagnosed. The implant manufacturers say that’s not many, but to me, as a mother of children who’ve lost a parent and a woman who has grieved the life of someone she didn’t think I could live without…even one life is too many. A few weeks later, the FDA issued warnings to two of the major breast implant manufacturers because they didn’t comply with proper testing since being allowed back to market nearly a decade ago. Finally, on March 25th and 26th, the FDA held hearings to talk about the safety and regulation of these devices. 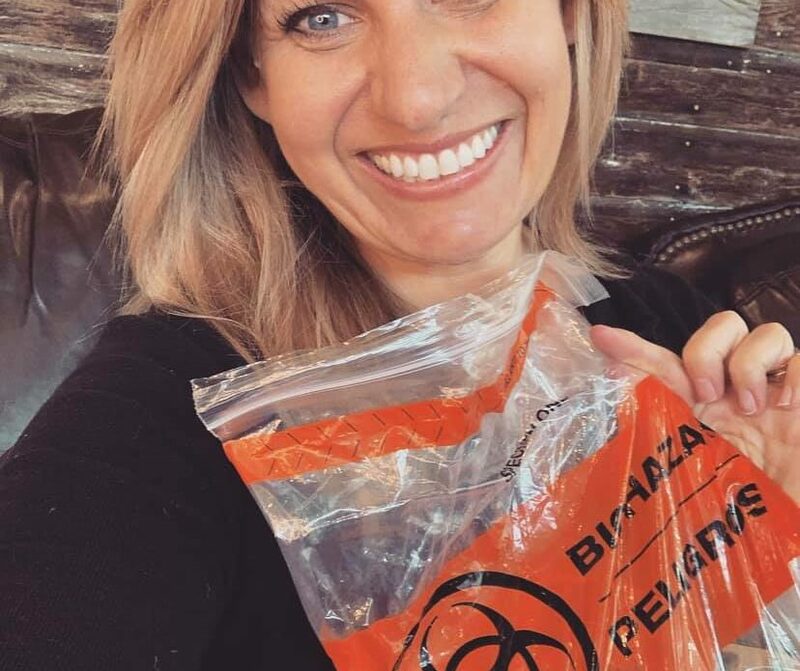 Countless amazing, brave, and strong women testified and doctors spoke to the undeniable connection between implants and auto-immune issues, and now cancer. One doctor in particular from Canada stopped me in my tracks. He has dedicated his career to studying the relationship to women’s health and implants. He spoke of a woman who came to him with chronic left leg numbness. They tested her for EVERYTHING and couldn’t figure out what was wrong with her. The pain was so bad that it eventually paralyzed her and finally, her condition deteriorated and they had to amputate the leg. When they tested her leg they found that her joints, nerves, etc were overrun with silicone. If you think in order for that to happen her implants would have to have ruptured…think again. She was suffering from what they call a “slow gel bleed.” I thought back to my extreme right leg pain and realized that her story could have been mine. My surgery went as planned in early March; about 3.0 hours in length and my doctor joked with me at my post-op that his arm was sore the next day from holding up all my “chest muscle” on my left side. That same side had “capsular contracture” which means my body was fighting the implants and building up my own immune response trying to protect my system. Often women being diagnosed with BIA-ALCL have had capsular contracture but thankfully my pathology came back cancer free. My report showed that I had multiple benign fibrosis and the blood work listed “Chronic Inflammation” as an issue. I also had to have major pectoral repair work done that a month later still hurts like crazy. My capsules were “wet paper towel thin” but my doctor is a pro and he got it all out of my body and washed the area clean. 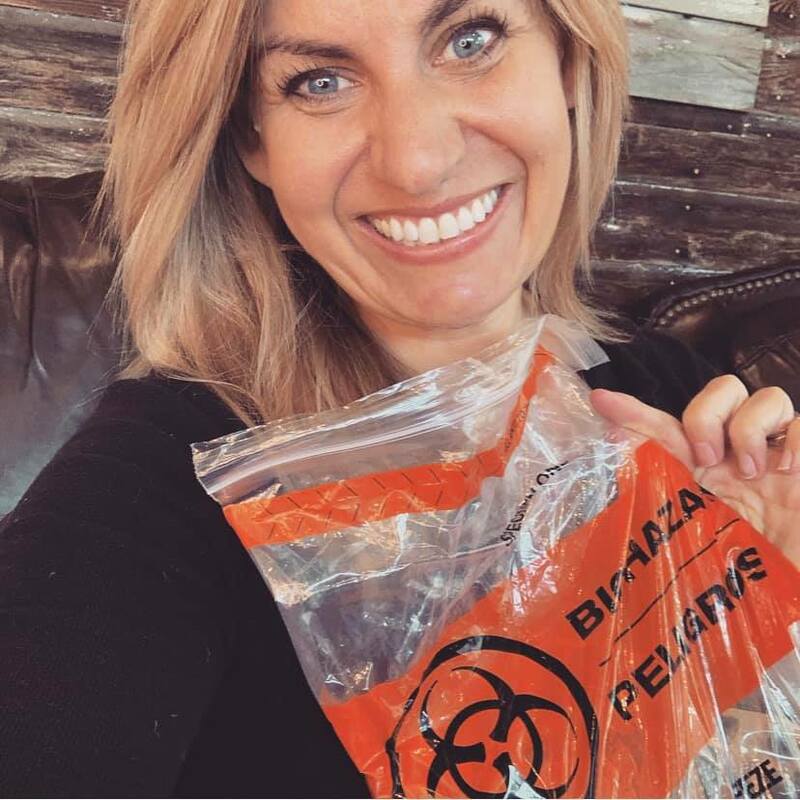 It’s still crazy for me to think that those 40 plus toxins were literally sitting on top of my most important internal organs the past eight years and taking a toll on my entire system. 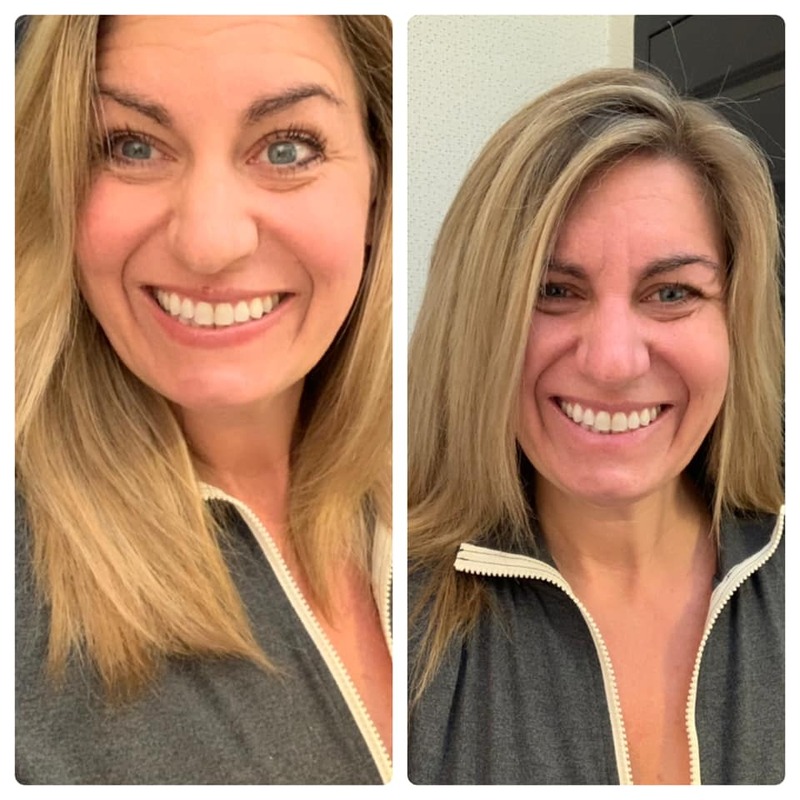 I woke up from surgery and within a day I started to notice drastic changes. I haven’t had a single heart palpitation since surgery. No shortness of breath, no vertigo, my joints haven’t ached once, my brain fog seems to be lifting and I’ve had zero headaches. I’ve also noticed a huge decrease in inflammation, redness in my face and that itching till I bleed…gone. My neck doesn’t hurt, my skin is glowing, and I’m down 15 pounds with no diet changes and zero exercises (given my pectoral damage I’m not cleared to train for 3 months). Most importantly…my numb right side is no longer numb. Countless people in my private groups have commented that they haven’t seen me this alive, happy, and well in YEARS. I’m 100% convinced that my body was at war with a foreign device and in the last year it reached critical mass. I’m so thankful to the woman who left her comment on my page that opened my eyes to the timebomb within my own body. I’m also thankful to a few women who followed up this past year with emails (you know who you are). I have no judgment towards other women and their choices for what’s best for their body or their life. People make these choices for very personal reasons from aesthetics to reconstruction after cancer and we all have to do what is right for our individual selves. My only wish is that you do your due diligence and be an advocate for your own best health. Please know that you do have choices that do not include breast implants. Don’t assume government agencies like the FDA or money hungry manufacturers are looking out for your best interest…they aren’t. I am of the opinion that we should prove these implants are undeniably safe BEFORE they are taken to market rather than saying they can’t be removed until we prove they are dangerous. 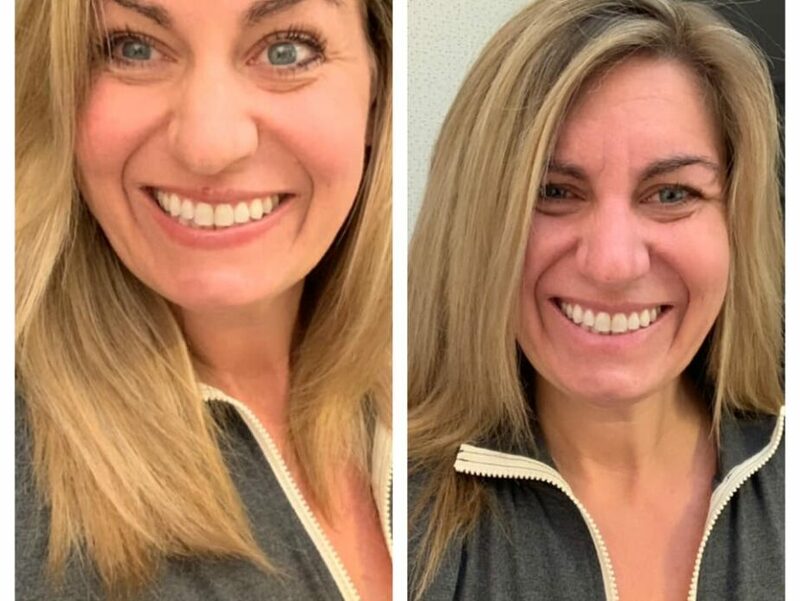 Let’s be honest, the beauty industry, plastic surgery clinics, and breast implant manufacturers are all sustained by you not feeling like you are enough. It’s a vicious cycle of thinner, younger, bigger breasts and smaller waists. The truth is you are enough, you’ve walked through fires and come out the other side and nothing is worth the beauty of your health and well-being. I’ve been brought to tears countless times over the past three weeks because my children have their mom back, my husband has his wife back, and my soul has it’s fire back. Those gifts are priceless and nothing on this earth is worth that sacrifice. My gratitude is overflowing and with this blog, I am paying it forward. As I close, some may ask if I regret getting implants now that I know better. Well, I suppose strictly from a health perspective I do regret that choice I made 8 years ago, but what would my life look like if I hadn’t? I don’t believe in living with regret. I took this as a major life lesson and an awesome opportunity to talk to my young daughters about self-love, acceptance and inner peace. As a mother, I hope they watch my experience and become that much stronger for their own personal journey. It also took my relationship with Keith to an even deeper level of love and understanding. He stood by me through this entire situation, never questioned my concerns, held my hand when I didn’t feel good, was there when I woke up from surgery and has told me I was beautiful every day since we met…including my post-explant, toxic free body. We grow, we evolve, we change. I won’t apologize for making mistakes, but I will raise my voice for those who come after. May my mistake save you years of soul-crushing pain. Onward and most certainly upward. A few photos to capture my one month (to-date) journey of taking back my health. I’m so glad that you found out what was wrong!!! I have followed you since my husband unexpectedly passed away in 2012. You have helped me so much. I want to share another account that I follow. This is a home decor account, but she has a similar story as you. Her implants caused a condition called POTS. Here is a link to her talking about it. https://www.instagram.com/stories/highlights/17930737066273863/ I hope that you continue to heal that that you are able to continue down the road to recovery!!! I know it’s hard to share so much about your life, but I know it will help others just as much as your other posts have helped!! This is a great article! Immediately sent it to my sister because I think she might have this too. However it’s hard to read because of the font colors. Might just be my iPhone but wanted to mention it. Thank you for sharing! I have been a widow for 18 months now and your posts really help. Thank you for sharing. Wow. I am so glad you are on the road to recovery. I don’t know anyone with implants but every woman needs to read this. First, I’m so glad that you are feeling better. You look great. This article really opened my eyes. I’m 43 years old and I just had breast implants for first time 3 weeks ago. My husband died three months ago. We had discussed idea of implants the previous year and I made decision to get implants. He was diagnosed with terminal cancer and I wasn’t going to go through it but he encouraged me to do so regardless. It wasn’t a self esteem issue for me, I was a A cup and was tired of my clothes not fitting correctly. I haven’t had any issues but I think at this point it would be too early to tell. What I have just read is very scary. I have actually heard of this illness and I did do research prior to making a decision but I didn’t go this far in depth. I really do appreciate you sharing your story. I have no doubts that if I start having any unusual symptoms that will be the first thing that I think about as I am otherwise healthy. I wish you the best of luck. Again you look fabulous! Take good care of you. I’m so sorry for your loss Jen. Make sure you keep up with the last on BIA-ALCL and be your own best advocate. Thanks for the kind note. Thank you for sharing your story. I’ve been struggling with over 75% of the symptoms listed above for the past 6 years since I had my implants switched to silicone gel. Prior to that I had saline and one ruptured causing me with what I thought was the “only” option to replace them. I’m currently searching for a physician who is very experienced with BII. I’ve had no success finding one in Tampa. If you could email me with your Dr’s info I’d be so grateful. Drop a note to info@my1fitlife.com and I will gladly give you his information Angela. Oh Michelle, I am SO sorry, I am SO glad you are ok, and I am SO grateful that you are sharing this- no doubt you will save many women’s lives!! Sending you big hugs and so much love!! Thank you for sharing! What’s crazy is I got mine about a month prior to you. I really knew something was wrong 2017. A friend shared her story about losing a kidney and then explanting. By the summer of 2018 I was a mess and Nov 2018 I had the worst episode of what’s now RA. I knew then my body was fighting. I even got a heavy metal hair folical test and boy is it scary. I got mine out Mar 2019. Thank you for sharing your story. Here’s to healthy living! Yay!! So glad you are on your way to better health Julie!! Who is the physician in Dallas that removed your implants? How did they reconstruct your breasts? Is there heavy scaring, sag? Carol, at the bottom of my blog is two important resources for you to read and research. One includes doctors who explant correctly. My doctor was John Burns in Dallas. There are many options for people including fat grafting and lifts. Everyone needs to do what’s right for them. Can you please email info@my1fitlife.com. I’m afraid if I start saying his name he will get even more overrun than he already is! He is one of the most requested doctors and I’m happy to share if you email. Thank you for so bravely sharing with us. Your vulnerabilty is encouraging in so many ways. Wishing you continued healing. Thank you for sharing. I had my implants replaced (10 years after first surgery). I have not experienced symptoms, but after all the info coming out, I’m thinking this isn’t worth the risk. I’ve found a link of doctors, but curious who your doctor was? Thank you for sharing. I had bilateral breast augmentation done in 1989. Within the year, I was constantly ill. Honestly, it was all I could do to push through my workday. There was no energy left for my kids. I was told I had non-specific autoimmune disease, Epstein Barr, and chronic fatigue syndrome. My gut told me I was being poisoned. I had the implants removed. Within a month I felt like myself again. You have the confidence & support that I never have had. I wanted to tell my story. But just wasn’t brave enough. Your story has many parallels to mine. You’ve made me stronger & more capable. As women, we need to lift each other, believe in ourselves and in each other, and be strong. Thank you for your efforts to encourage us all. Be well. Thank you for using your platform and voice to share this important information. I had implants in 2009 following double mastectomies. I just my husband in 2010. I remember the wait time between awakening to this and actually being able to explantation. I think God gives us what we need. During my wait, my mother was diagnosed with her second breast cancer and I considered just going flat. That wasn’t for me and I had a fat transfer (DIEP) following explantation at the Iniversity of Michigan. I know you are a Michigan gal! I’m an MSU grad and have a new-found love for UM! My surgery was 11+ hours long as deep is microsurgery. I, too, had extensive pec damage and had grade 3 Capsular Contracture. I woke up from that long surgery and felt a huge weight off my chest-literally and figuratively. To be honest, I didn’t experience the immediate, miraculous healing that I’d spent months reading about on the BII pages. Digging deeper, I found the Medical Medium and found my way to his Epstein Barr podcast and that was a game changer for me. The pieces really fell into place and it has taken my healing to a new level. I share because EBV is underlying many autoimmune diseases. He’s even more recently down a podcast on BII and feels, indeed, those with implants who become symptomatic most likely have underlying EBV in the first place. I’m drinking my daily celery juice as I’m typing this! Oh Kathi, I’m so happy you are finding wellness again! My sister had that same procedure after breast cancer at the U of M!! Amazing. They do great work. I’m really just so happy for you. Keep living healthy. I am so happy for you! It is nice to hear story’s that are similar to mine, with so many Doctor’s not having answers and friends thinking we are crazy. I too had a explant in 2018 and feel like I have my life back. I had all the same symptoms as you did, numbness in my arms not leg. My hope is that more people read about BII and become educated. BII is real!! Thanks again for sharing! Happy healing to you!!! I’m so glad you are well MaryEllen! Thank you for sharing. It was a hard share but I’m happy to help raise awareness. Hugs to you. Thank you so much for sharing. I have considered implants off and on my entire adult life. Being enough in that area is something I struggle with. Your story convinces me that it’s not worth it. Thank you. You are for sure enough. Thank you for sharing Kristi. Your comment alone made the blog worthwhile. Stay healthy. Michelle, after reading this, I sit here crying! I have not felt myself for a long time but, I chalked it up to supporting my husband as he went through his cancer treatment and, the final blow of him passing away just shy of 3 years ago. I just took myself to the ER last week and was diagnosed with a TIA (mini stroke). Reading this and looking at the symptoms… they were wrong!! 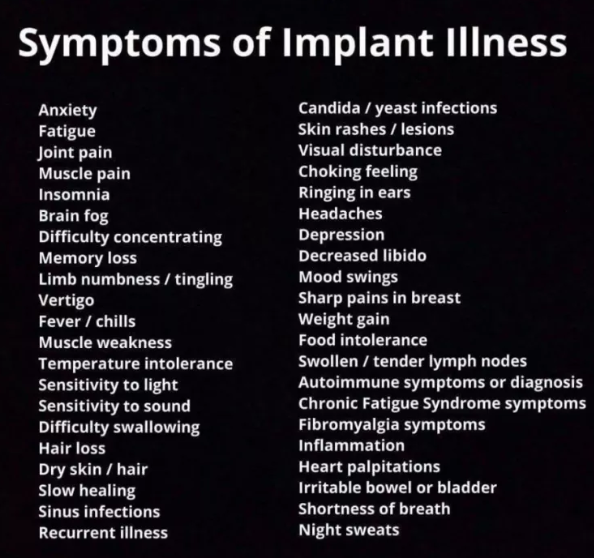 I have 95% of the symptoms of Implant Illness! I am SO thankful that I have been following you and that your other followers were tuned in enough to recognize your symptoms. I was diagnosed 2 years ago with an auto-immune disease, Sarcoidosis, I have been to all of my doctors with the symptoms listed and they have all said “you’re fine.” Thank you for giving me something solid to go back to them with and, hopefully, get some much needed relief. April is National Sarcoidosis Awareness Month! Heather, my heart hurts for you. Please advocate for yourself and keep doing it! There are some great resources at the bottom of my blog. Read them over and stay open-minded. You know your body better than anyone. Sending love and strength your way. Michelle, I am so happy that you figured this out and are doing well. I think that there are likely many many more connections to cancer than the 17 reported cases. My daughter lost her battle with breast cancer at the age of 44. She had breast implants, then 5 years later she got breast cancer. Even though it was only in only breast, she did a double mastectomy as preventative along with reconstruction, which involved new implants. She also did chemo and stayed on meds for 7 years to aggressively battle the cancer. When she went off the meds her cancer returned, metastasizing throughout her body. She died 14 months later after another agressive battle. 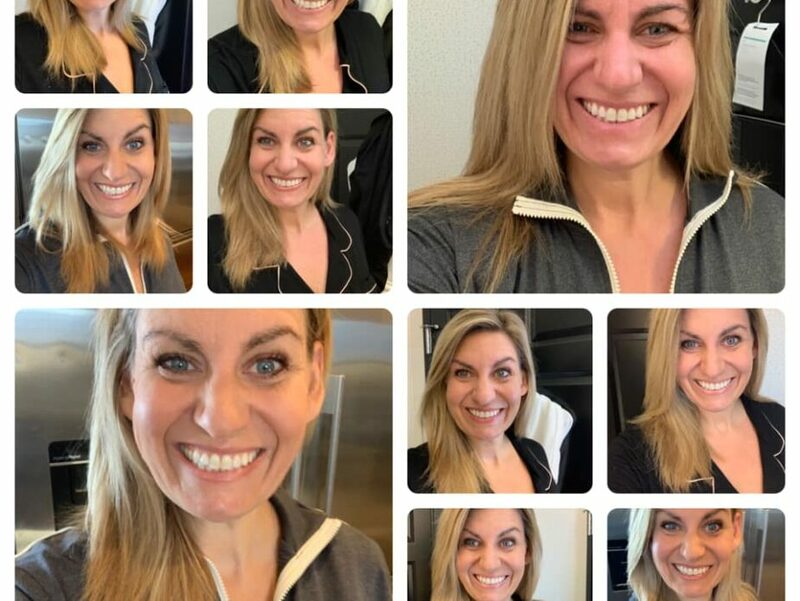 The doctors would not confirm a connection to the implants, but I completely agree with your husband’s statement about it being a foreign substance in your body and believe with all my heart that the implants started this horrible journey. I also agree with your statement that we all need to learn that we really are good enough and hope that we can all come to trust this. Bless you for sharing your story. Oh Linda, I’m so deeply sorry for your loss. I sure wish I could say something but we both know there is nothing that can be said. I appreciate you taking the time to leave me the nice comment. I wish you well. Hugs. Thank you so much for sharing this. Our stories are very similar. My husband died April 27th 2009 in a car accident just a couple minutes from our home. My boys were 2 1/2 & 7 months old. I lost weight & had similar issues, then implants Dec 2009. They are saline but I am unsure of the shell. I have had many of the same symptoms that you have had as well…this was so eye opening. I thought when I first read this you had posted a list of the recalled implants? I have all of the information about my implants in regards the type, style REF & SN #. Do you know if there is a place to look up if the type that I have has been recalled? Thank you!